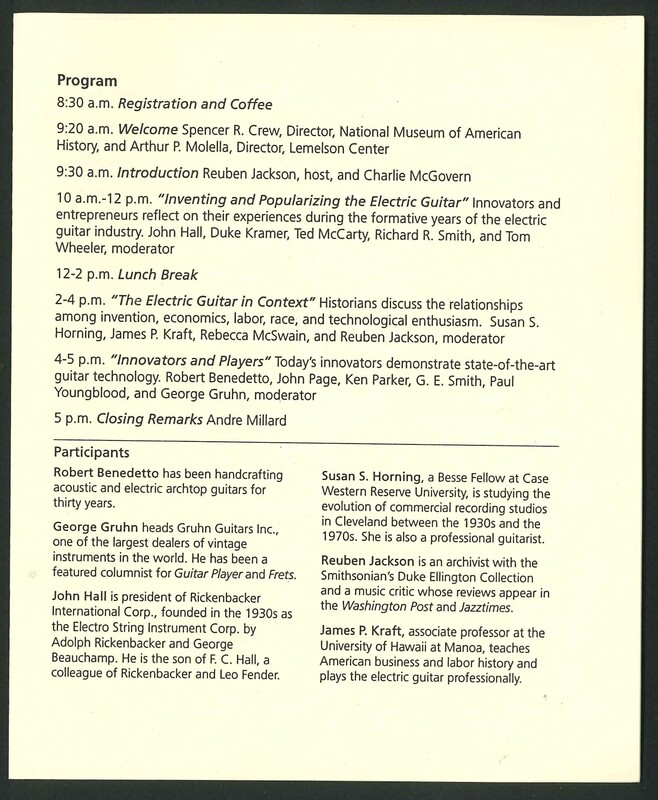 In November of 1996, the electric guitar, its history and its makers, were the focus of attention at the National Museum of American History. 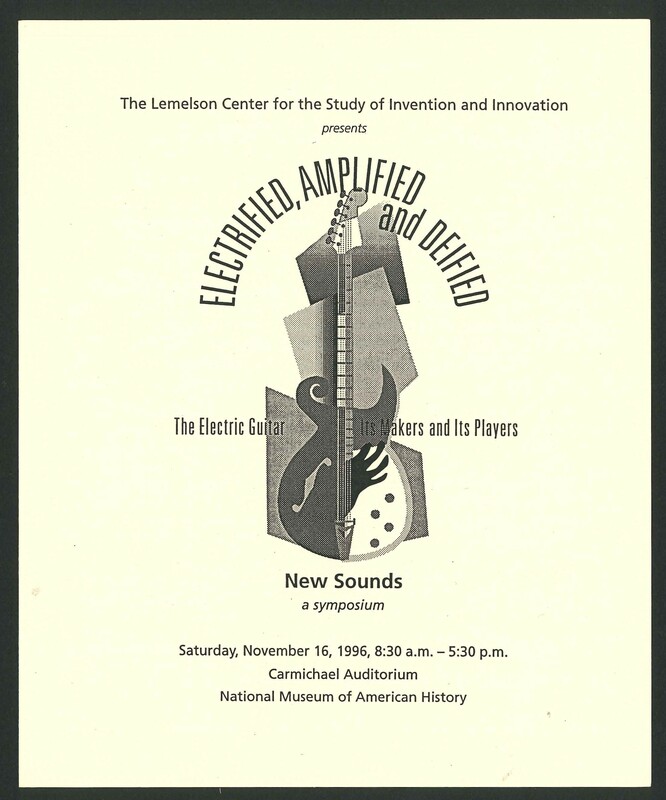 As the Smithsonian continues to celebrate its Year of Music in 2019, I'd like to take a look back at an exhibition and its surrounding programs that took place at the National Museum of American History (NMAH) that put a spotlight on the electric guitar and its history. 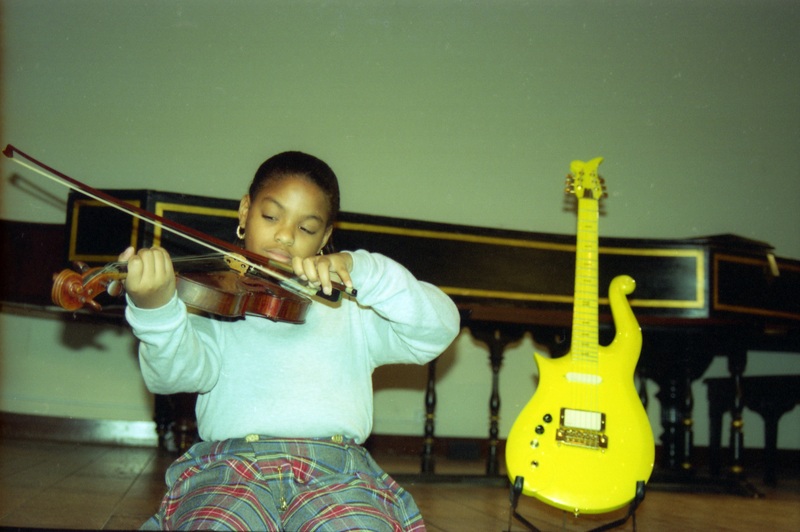 Young Girl Playing a Violin with a piano and Prince's Yellow Cloud electric guitar in the background - Educational program - "From Frying Pan to Flying V: The Rise of the Electric Guitar" exhibition, 1996. Photo by Helena Weiss. Image no. SIA2019-002157 [edited]. 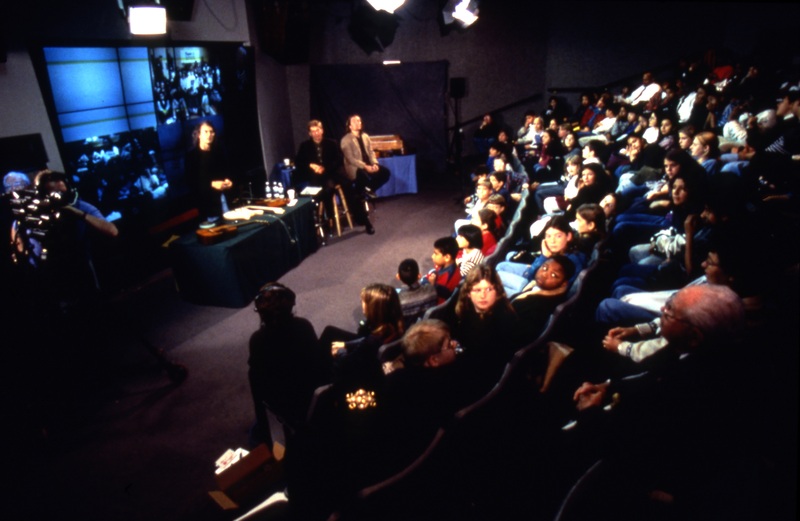 Accession 16-092: Lemelson Center, Audiovisual Records, 1995-2014, Smithsonian Institution Archives. 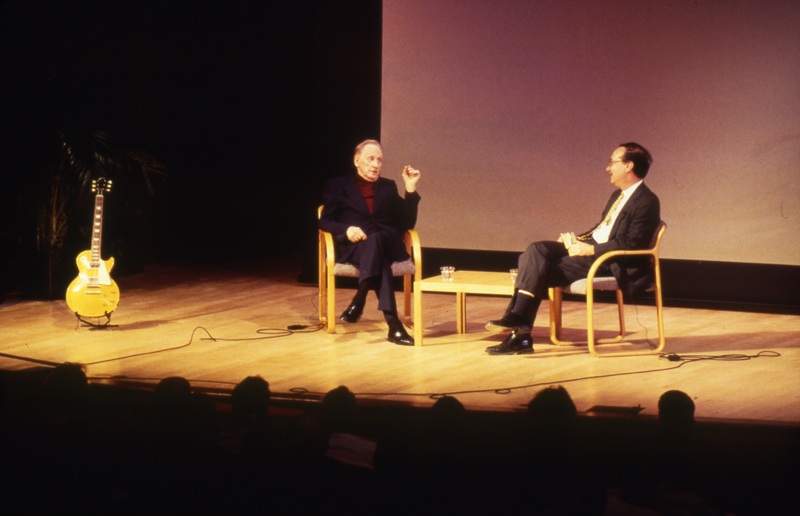 "Portraits of Invention: An Evening with Les Paul" - Conversation between Les Paul and Marc Pachter, November 13, 1996. Image no. 96-4682. Smithsonian Institution Archives. 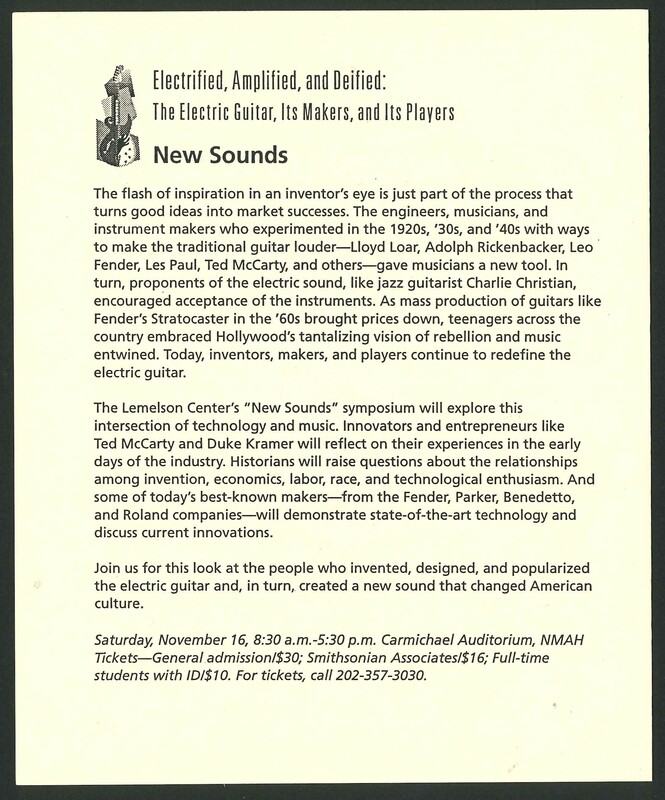 "The Electric Guitar, A Maker and A Player: An Electronic Field Trip" - Information Age Theater, National Museum of American History, November 5, 1996. Image no. 96-4661. Smithsonian Institution Archives. Guitar maker Paul Reed Smith and guitarist, G. E. Smith, at "The Electric Guitar, A Maker, and A Player: An Electronic Field Trip" - Information Age Theater, National Museum of American History. Image no. 96-4660. Smithsonian Institution Archives. 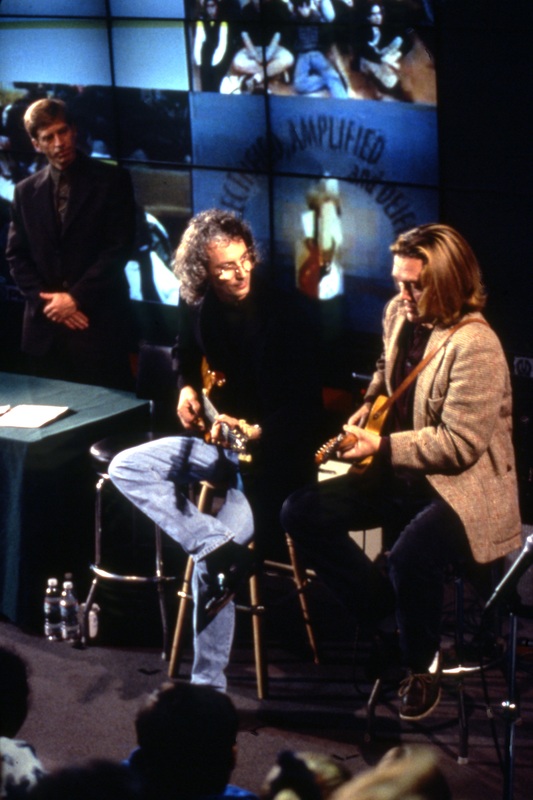 Guitarist, G. E. Smith signing autographs at "The Electric Guitar, A Maker and A Player: An Electronic Field Trip" - Information Age Theater, National Museum of American History, November 5, 1996. Image no. 96-4662. Smithsonian Institution Archives. 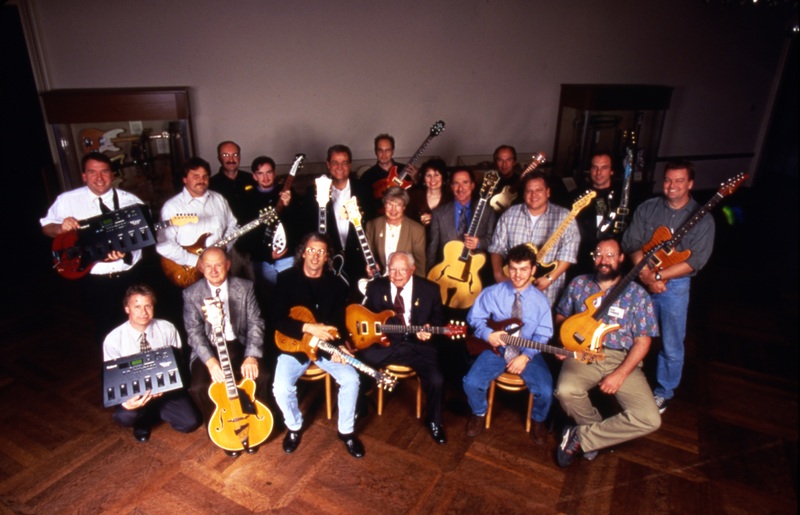 Group portrait of guitar makers - Hall of Musical Instruments, National Museum of American History, November 15, 1996. Image no. 96-4645. Smithsonian Institution Archives. 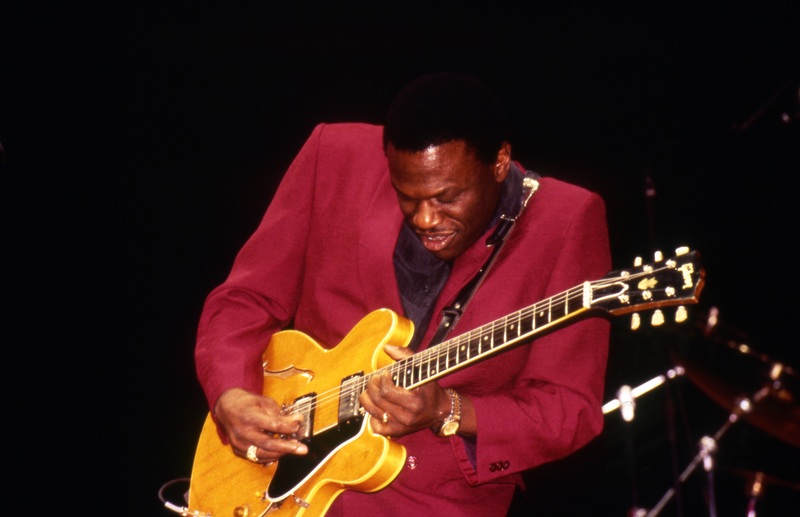 Joe Lewis Walker performing at the "Jazz Giants and Bay Blues" concert at University Auditorium, University of the District of Columbia, November 16, 1996. Image no. 96-4777. Smithsonian Institution Archives. From Frying Pan to Flying V: The Rise of the Electric Guitar featured vintage guitars and equipment that laid out the history of the electric guitar and the people—the manufacturers, players, makers, and inventors—involved in their creation, development, and popularization. On display at NMAH from November 1996 to October 1997, the exhibit was organized by the Lemelson Center for the Study of Invention and Innovation, in association with The Chinery Collection. Many of the guitars that were on display were from The Chinery Collection in Toms River, New Jersey. The collection, now sold, was originally established to identify and preserve instruments that are significant to the history of the guitar in America. 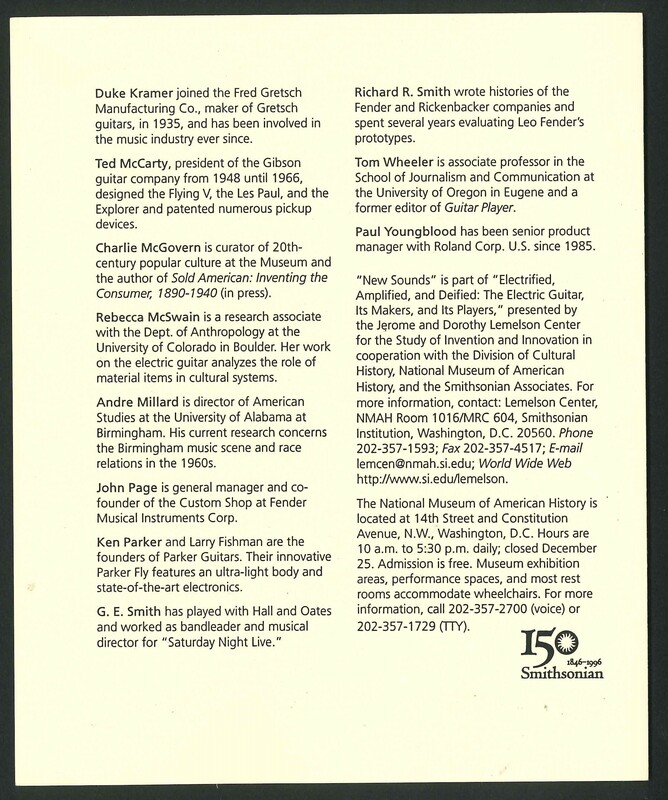 New Sounds symposium program, November 16, 1996 - National Museum of American History. Accession 03-114, Box 3, Smithsonian Institution Archives. The Smithsonian has a great number of musical instruments in its collections, has displayed numerous exhibitions on musical instruments, artists, and music, and has a long history of hosting concerts and other performances. So please join the Smithsonian as it celebrates with 365 days of music!